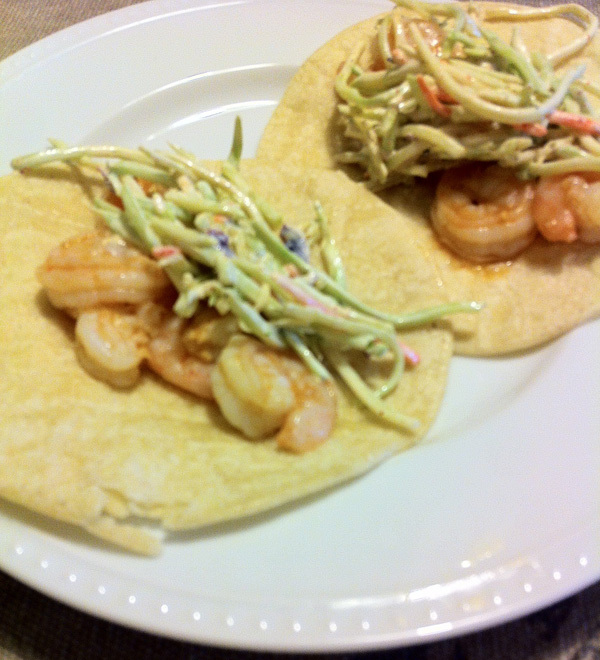 This was an impromptu meal I made last week in an effort to use up some shrimp I had in the freezer. I love it when a stroke of creativity turns out to be this delicious! Recipe: Saute shrimp in 1-2 tablespoons of BBQ sauce (until shrimp are pink...maybe 5 minutes) // I used a package of broccoli slaw and whipped up a dressing consisting of a few dollops of mayo, the juice of half a lime, 2 T of chili powder, salt + pepper // Top your favorite corn or flour tortilla with a few shrimp and some chili-lime slaw....perfect, light summer dinner.